Beneficial Home Inspection Services, Inc. Protect your family by scheduling a radon test today! Don't risk your health to another day exposed to high levels of radon gas in your home. The EPA and the IEMA recommend all homes be tested, in fact the IEMA estimates that 42% of homes in Illinois have elevated levels of radon gas. Fast results, accurate measurements, affordable protection for you and your family. 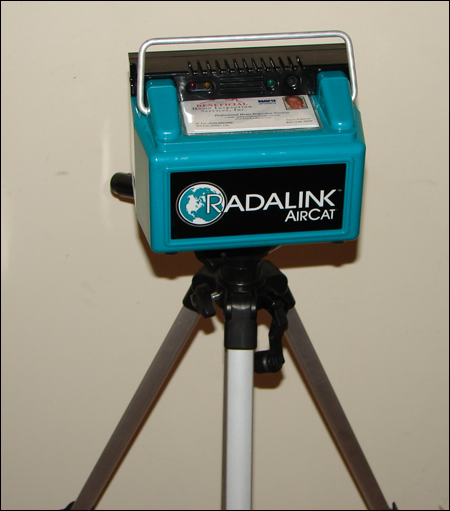 Beneficial Home Inspection Services uses the Radalink Air Cat continuous monitor for our radon testing. The Air Cat uses the latest technology providing the most accurate readings available, along with fast results. Results are typically available within one hour after the test has been completed. Benefical provides you with a trained state licensed measurement technician to guarantee and ensure the most dependable and accurate results. Many other testing companies use charcoal testers which do not provide the hourly readings and accuracy that the Air Cat provides. Upon completion of the test, the charcoal testers must be mailed to the lab for results. You may have to wait an additional week or more just for your results. Please take a moment to watch this video about real people with radon-induced lung cancer. Information on this website is subject to change without notice. Steven Johnson of Beneficial Home Inspections Services Inc., provides home inspection services to Lake, Cook, McHenry, and DuPage county of Illinois, as well as Kenosha and Walworth county of Wisconsin, and the communities of Arlington Heights, Carol Stream, Crystal Lake, Chicago, Elkhorn, Lake Geneva, Lake Villa, McHenry, Naperville, Pleasant Prairie, Salem, Wauconda, Wheaton, Whitewater, Woodstock, Gurnee, and Schaumburg of Illinois, and surrounding communities of northeastern Illinois and southeastern Wisconsin. BHIS Website 5.1 © 2009-2019 Beneficial Home Inspection Services, Inc. Created & Powered by Chris Johnson -- Proudly Hosted by Vortex Servers, LLC.